Diverted in Chislehurst via Edgbury & Belmont Lane instead of via Green Lane direct. ELTHAM Well Hall -BROMLEY NORTH STN. 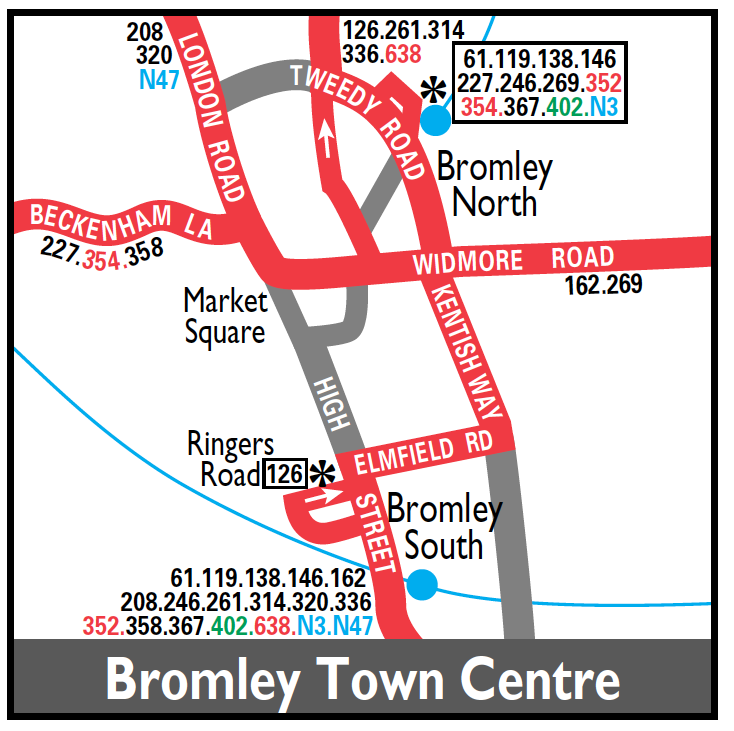 Sunday am extended from Bromley Garage to Bromley North. ELTHAM Well Hall - BROMLEY NORTH STN. Saturday Route between Chislehurst and Eltham re-introduced. ELTHAM (Sun) - CHISLEHURST Gordon Arms (Mon-Sat) - BROMLEY NORTH STATION. Monday-Saturday withdrawn between Chislehurst and Eltham replaced by new 61B Route. Sunday only Route between Chislehurst and Eltham replaced by revisions to Route 228/328. V4 seen in Bromley ? Contract passed to Selkent operated with new Enviro 400 type buses. Changeover point Well Hall Station ? Towards Chislehurst is Goodmead Road. to start or finish at either Chislehurst or Bromley North. 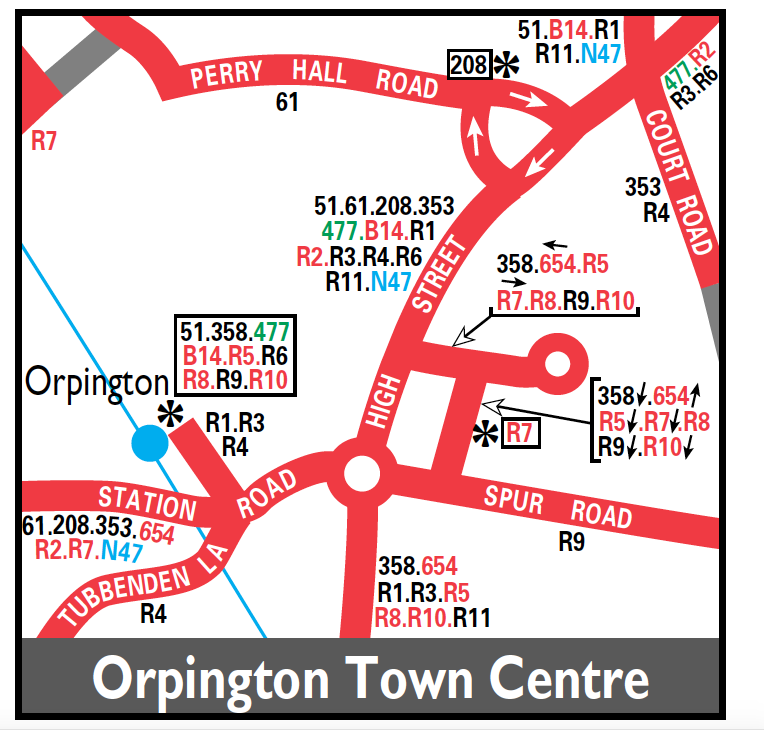 Orpington has a fleet of ferry cars which take the drivers to/from the changeover points at Orpington pond/Goodmead Rd for routes 61,R1,R3,R4,and R11.These are actual duties and are covered by drivers stood down usually for medical reasons. (You should see the duty card something like 18-20 rounders). This page dedicated to Paul Bishop.